Register now for 2019 ES Hockey Training Programs - Don't be left out! Stay Connected and join our mailinglist today! Our goals are to take advantage of our playing and coaching experience and to pass on our lessons in hockey and life to our students. We want to maintain a standard that is unmatched by any other program in quality and excellence. Multiple small group clinics throughout the year focusing on specific learning techniques. Multiple team sessions designed to operate at high tempo with minimum down time. Hockey Schools developed to target individual or specific skills, some provide pre-season or mid-season preparation. ESH schools provide every player with a safe, challenging and fun experience designed to make them a better player and person. Nutritional information to help development players to become the best. Teaching coaches and associations specific skill development training. 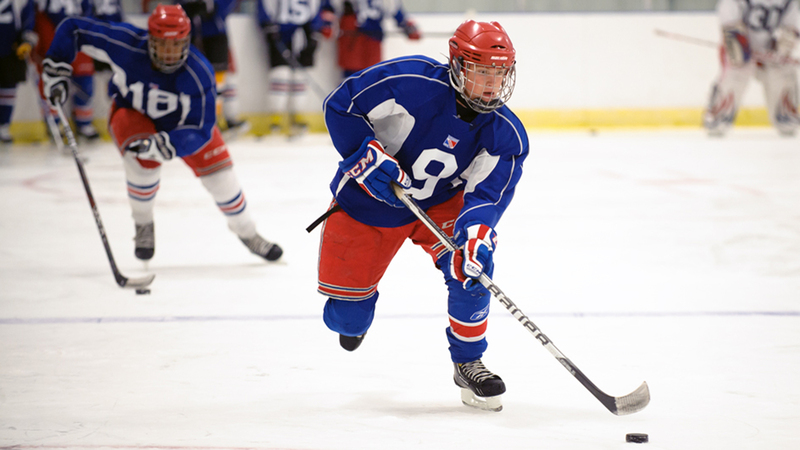 Proven off-ice hockey specific training exercises to develop quick feet, leg strength, soft/creative hands, shooting accuracy, aerobic capacity and endurance. ES Hockey is an authorized distributor of Biosteel products. For details, contact Jamie Israel, jisrael@es-hockey.ca or 226.220.5882. Our staff of professional instructors is unparalleled in instruction and experience. We select only those instructors with a passion for the game and for teaching, while maintaining the highest standards as role models for our younger players. Mission: The goal is and always has been to provide top quality hockey instruction in a supportive environment that allows for development and refinement of his or her hockey ability. This is accomplished by placing emphasis and refinement on the importance of individual skills, fitness and good character. Teaching player respect and the importance of 'Every Shift / Every Shot' mentality to all players that step on the ice. The ES Hockey School goal has been to provide every player with a safe, challenging and fun experience designed to make them a better player and person. ES Hockey Schools have helped hundreds of players achieve their goal of becoming better players and enjoying the game even more. We help students succeed by providing them with a hockey school experience that is structured, varied and fun in a safe environment. ES Hockey Schools focuses on all fundamentals of the game including skating, puckhandling, passing and shooting with both group instruction as well as significant individual instruction. Each day is packed full of activities that provides every student with a memorable learning experience. Stay Connected and join our mailinglist today! Get the latest program/clinic information, training tips and special offers from ES Hockey Training. Just send us your email address and we will keep you posted. It's that easy. ES Hockey respects your privacy so your contact information will NOT be shared. The sole use of the information collected is for the purpose of sending periodic updates/newsletters to requesting persons using email. We do not share this information with any other party, person, agency or company. Register NOW! Fast and easy registration. 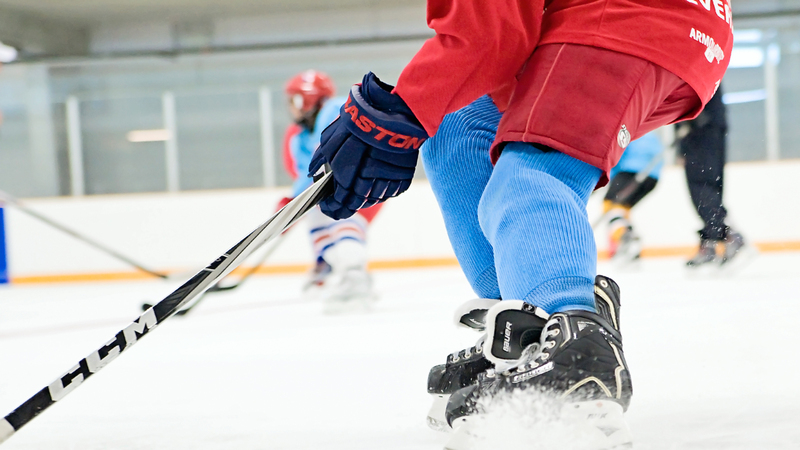 The half day camp has 3 hours of on-ice instruction daily focused on developing all skills of the game, power skating, puck skills, game tactics, goalie training, and team play. ES Hockey will be conducting training camps to prepare all age groups for spring tryouts beginning April 15th. Each camp is designed specifically for a certain age group, focusing on the skills required to have a successful tryout. ES Hockey Training Inc. will be conducting a half day camp focusing on power skating to improve a player’s overall performance. With proper instruction, correction, and repetition, the level of improvement is higher with 15 hours of instruction over 5 days. The 4 day camp is specifically designed for defensemen in the age groups of 2005, 2006, 2007, 2008. Defence CampThe players will cover specific skills for the position of defense- efficient first pass, pivots/transitions, gap control, body positioning, active stick, angling, puck protection, offensive point shots. Player safety is the focal point is this ES Hockey Specialty Clinic. Today’s game is fast paced! Players are different sizes and are moving in all different directions on the ice. 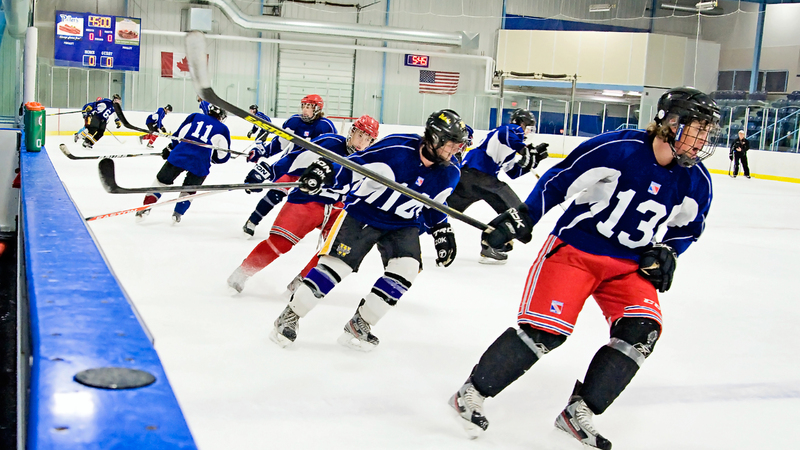 Players will learn safety measures of body checking and how to battle safely with confidence along the boards. The 4 day camp is specifically designed for defensemen in the age groups of 2003, 2004, 2005, 2006, 2007. Defence CampThe players will cover specific skills for the position of defense- efficient first pass, pivots/transitions, gap control, body positioning, active stick, angling, puck protection, offensive point shots. The 8 hour program will better prepare your child for the upcoming 2017-18 season. The practices will focus on speed and puck skills. The camp is designed for AAA players born in 2003, 2004. There will be a limit of 16 forwards, 10 defensemen, and 3 goaltenders. The camp will prepare each athlete for their upcoming season. ES Hockey Training Inc will be conducting a Midget AAA Skills and Conditioning Camp the week of August 8-11, at Sportsworld Arena. The camp is designed to prepare each athlete for their upcoming try-out or training camp.